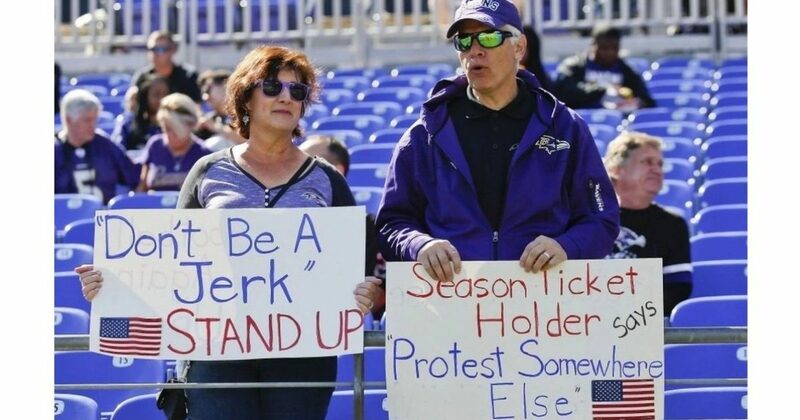 Obviously longing for the good old days when every seat around them was taken and like-minded rabid fans literally made the Baltimore Ravens’ stadium rock with the noise and commotion of impassioned fandom, this couple sent a direct message three weeks ago to the millionaire crybabies who are destroying the game, the league, and their personal fortunes in the process. I can’t imagine this couple renewing their season tickets next year for more of the same of what they have been treated to this season. Even more amazing is the fact that the NFL and team owners have not been able to explain the theory of supply and demand sufficiently to the players for them to clearly see the connection between their assclown crusade, spitting in the faces of their fans, and their own personal poverty on the street. And for what, to declare cops racists? According to hard data, such claims are erroneous, at best. The NFL boycott appears to be spreading and getting worse every Sunday. Below are pics of stadiums around the league on 10/22 showing tens of thousands of empty seats. 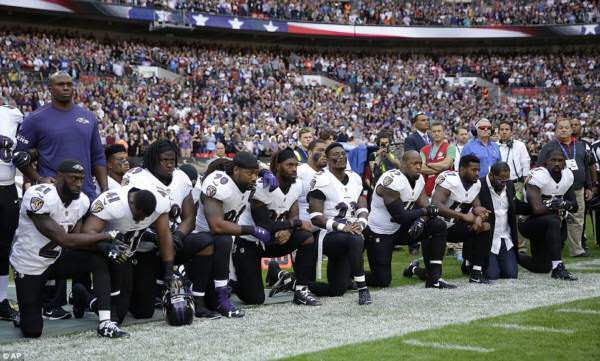 Remember when stadiums were full of fans standing for the national anthem, back in the day when the assclown crusade of stupidity and self-destruction began?